Vegetarians often worry about how to include more protein in their diet. This is especially a concern when one thinks of the breakfast. If not eating eggs, how does one increase the protein quotient in the first meal of the day? The answer is a simple "Protein Dosa". Ingredients: Mixed legumes and beans, ginger garlic paste, oil, chiliies, salt and other spices. Method: Soak the beans and legumes for a few hours. Grind to a paste and mix in the other ingredients except oil. You could also leave the ground mix to ferment before seasoning. 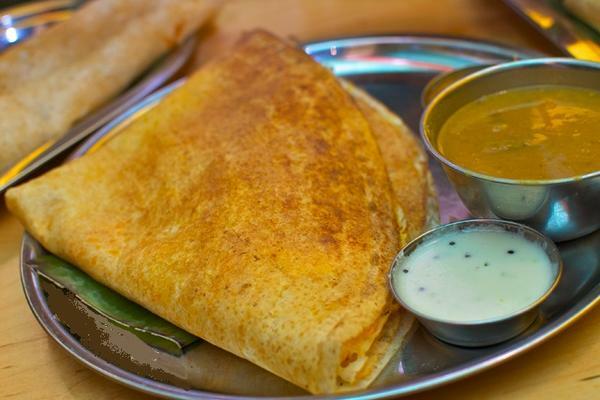 Now cook your Dosas on an oiled gridle in the usual way.